Wonderful family home located in Creekview. This exciting and well laid out floor plan is sure to impress. 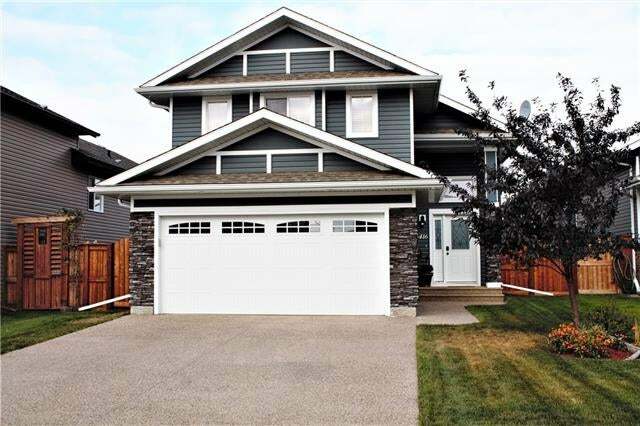 With vaulted ceiling's, ample natural light and 4 bedroom's this home really has it all. The kitchen is open and inviting to the entire house. Gather around the beautiful island and visit as dinner is prepared. The living room is just off the kitchen/dining area and looks out into the backyard. With two spare bedrooms on the main floor and a superb master bedroom that boast's a walk in closet and ensuite. Downstairs has been professionally finished from top to bottom and is truly a wonderful space. A large family room with a ton of potential and another bedroom and bathroom complete this basement development. A private deck and superbly landscaped yard cap off this excellent home. Pride in ownership is on full display here! !